Another road trip picture! I honestly have no clue where this photo was taking. The beautiful blue colors and the glass with the triangular shape just completely takes my breath away every time I look at this photo. I love this building, and I really wish I knew where I took this because I would go back just to see this sight once more. If I figure it out, I will definitely let you all know so you can enjoy this wonderful sight as well! You should post it on pinterest and in the caption write. Can anyone tell me where this picture was taken. I can’t remember. It should drive some traffic to your site. 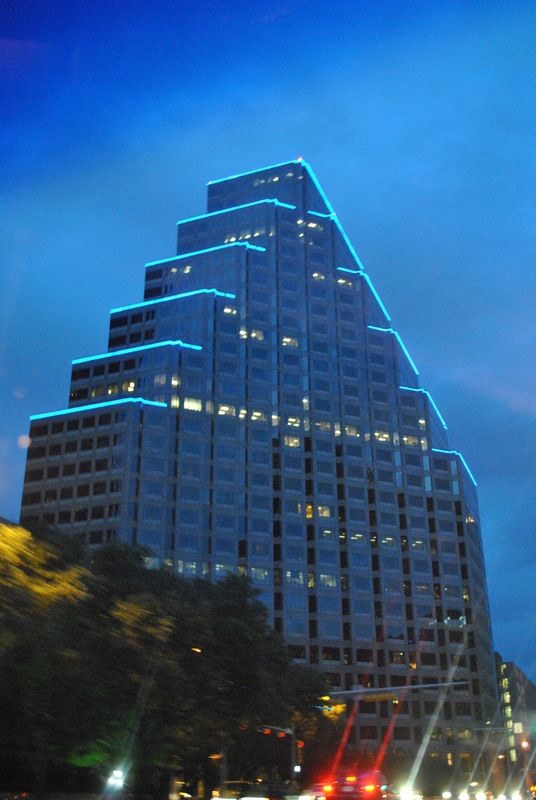 This is One Congress Plaza in downtown Austin. Oh my good thank you so much! That is so awesome…I thought it was Austin, but I really was not sure so I didn’t want to say it. That’s awesome, thank you! It’s so beautiful, now I know where to look!